In social media, we’ve always said the first rule is that you have to be present. Your customers are online and, if you fail them, their more likely to complain on Facebook or Twitter than to pick up the phone or register their complain on your website. That’s why we say you must be present — even if you aren’t using social media to market yourself, you need to be there to respond to your customers. And, Sprout Social has a new tool that tracks the engagement you generate on Twitter — #BePresent. Twitter has promised for eons that we’d have metrics to guide optimization. But, we’re still waiting. Instead, Sprout Social developed an interesting tool — and it’s FREE. A rank of how your engagement compares with others on Twitter. The average time it takes you to respond to messages posted by others on Twitter. And, best of all, it gives you relative statistics — showing how your engagement compares with others similar to you. And, I like having benchmark statistics — they’re a great way to gauge how well you’re doing. I tried out the #BePresent tool and didn’t get much — of course, I’m not a business and I mostly get new Followers, and RT (which I use Hootsuite Analytics to track). I think the #BePresent tool works better (and gives better insights) if you’re a business whose customers might complain on Twitter. 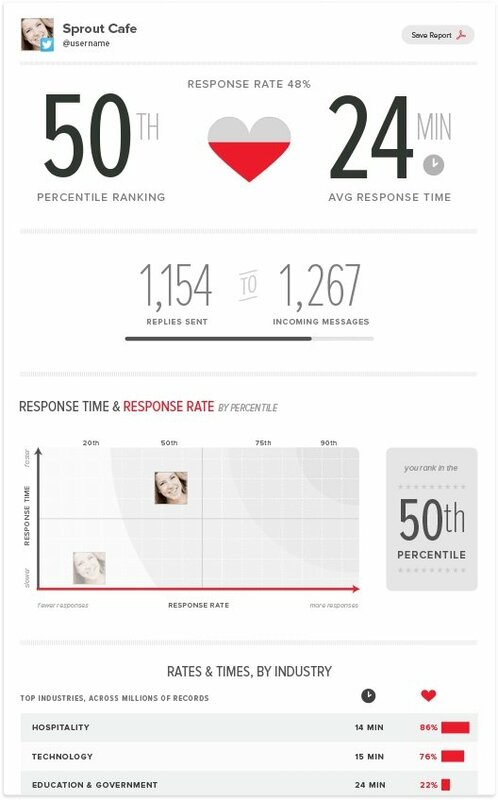 Then, when the tool measures response time and rate — it’s a meaningful analytic. Because the longer it takes you to respond to a complaint the more damage to your reputation. If you’re like me, and most of your messages are just autoreplies from new folks you’re following, the low engagement score likely doesn’t mean much. So, if Sprout Social wants my advice on how to make their tool better, I can sum it up in 1 word — transparency. I’d really like to know where the numbers come from? What actions improve your engagement? Who are those you’re comparing me to? Smaller? Bigger? Interested in other kinds of social media metrics, check out my new social media analytics book — I’m giving my first chapter away. If you’ll give me feedback, I’ll send you the whole book when it’s done.